For many of my friends, comfort food is fried chicken. Lasagna. Burgers. For me, it’s Hawaiian-style “plate lunch”. There are a handful of restaurants and food carts in Portland that serve Hawaiian food, but none come close to my favorite spots back at home. Sometimes, a girl has to take things into her own hands. And the best part about that is being able to adapt recipes. 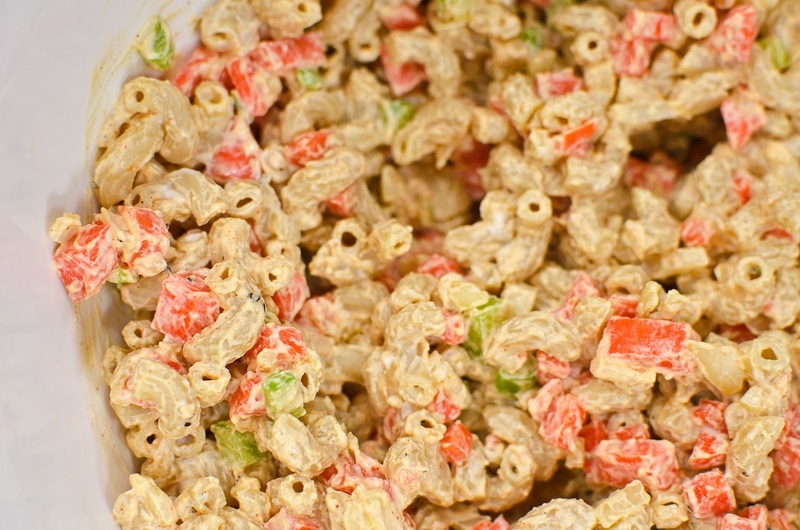 The macaroni salad traditionally served in plate lunches is literally dripping in mayonaise.It tastes soooo good. But it is soooo bad.Luckily this recipe gives me most of the satisfaction with much less guilt. 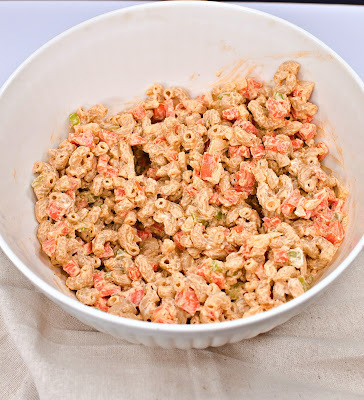 It uses whole wheat pasta, a lighter dressing, and is filled with chopped veggies for extra ruffage. It’s not zero cal, by any means. But it’s certainly easier to enjoy a scoop. Boil noodles and let cool. 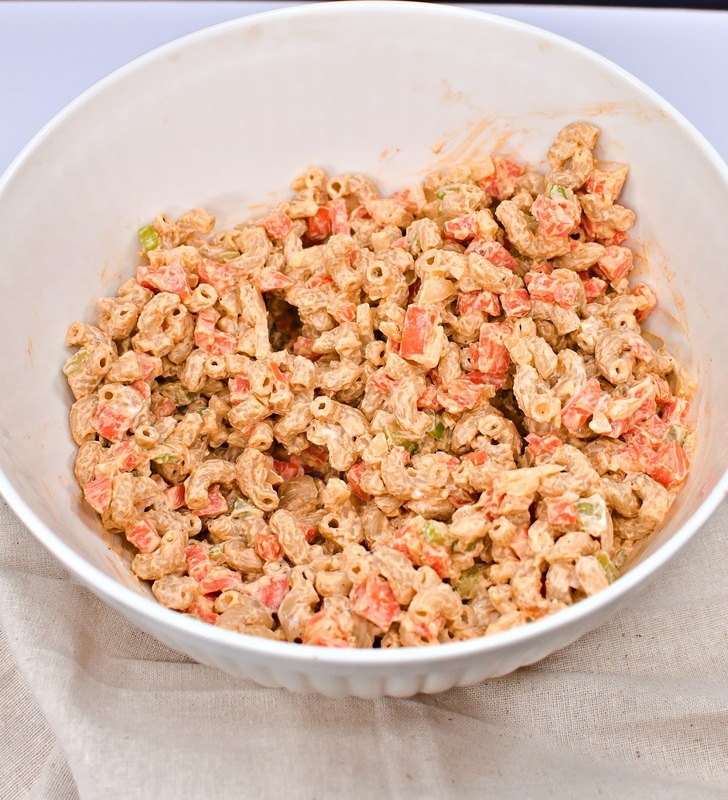 In the meantime, dice vegetables and mix yogurt, mayo and paprika. 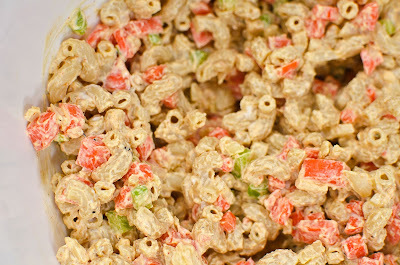 Mix into cooled noodles until fully coated. Add a splash of red wine vinegar for extra flavor. Refrigerate before serving.